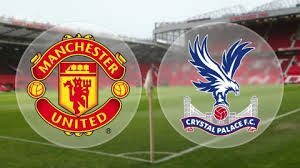 Manchester United hosts Crystal Palace in a game from the 13th round of the Premier League. Let’s head out to the legendary Old Trafford to see what’s going on with these two sides. Manchester United are struggling since the start of the season. The Red Devils are 8th in the standings, trailing on 12 points behind the leader Manchester City and 7 points behind the 4th Tottenham. Their record at the moment shows 6 wins, 2 draws and 4 draws. As it looks right now, United could miss a Top 4 qualification and Champions League football, if they don’t improve in a drastic way in near future. United’s last game was a pure dissapointment. Jose Mourinho’s team lost the Manchester derby against Manchester City with 1-3 at the Etihad. Romelu Lukaku scored from a penalty kick for the Red Devils, but City prevailed with goals from David Silva, Sergio Aguero and Ilkay Gundogan. Jose Mourinho’s team was outperformed at the Etihad and it was obvious for everyone. Now Manchester United do not have any other option, but to return on the winning road against Crystal Palace. For them it’s a great opportunity to do it at the Old Trafford. Honestly – they do not have any other choice at the moment. Crystal Palace on the other hand are not moving very well so far. Roy Hodgson’s team is 16th in the league standings with 8 points, being on par with the 18th Cardiff City. This means that Palace could find themselves in the relegation zone after the visit to Manchester. In their last five matches Palace lost four times and won only one point – against Arsenal. These are our thoughts about the Premier League showdown between Manchester United and Crystal Palace at the Old Trafford. United are the favourites here. Can Palace fight for something more?